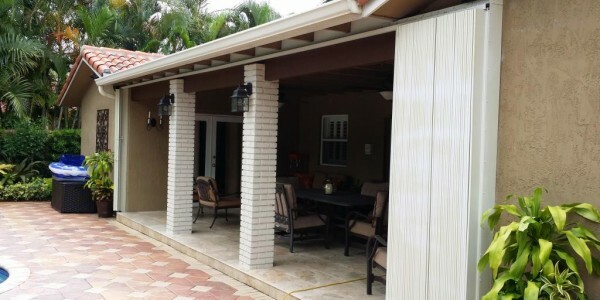 If you have lived in South Florida, you are probably all too familiar with how vulnerable a home can be when a hurricane hits your area. It’s been well documented that these storms do not have to reach Category 5 status to inflict damage on commercial and residential structures. Even lower status hurricanes can cause serious damage and wreak havoc on your home based on the combination of rainfall, rising tides, and strong winds and other related weather factors. And to protect you and the properties from damage, we step in. 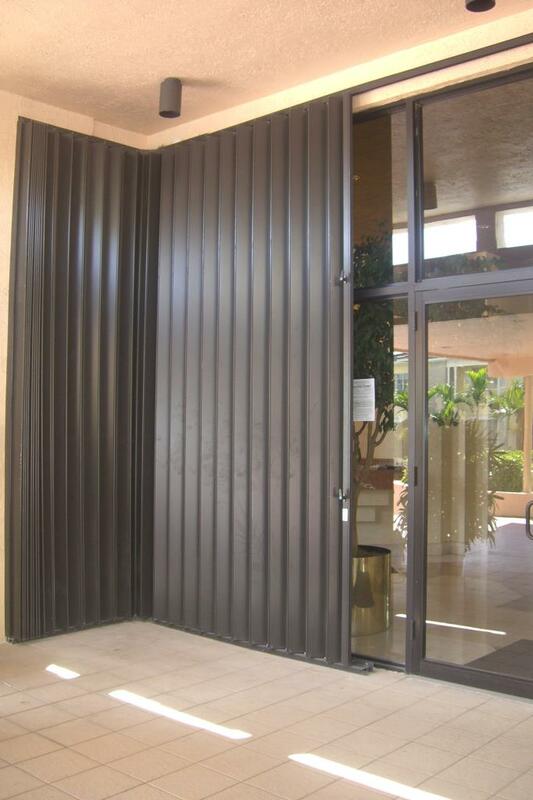 At NFC Aluminum, we have been providing businesses and residences throughout South Florida with the highest quality door and window protection. 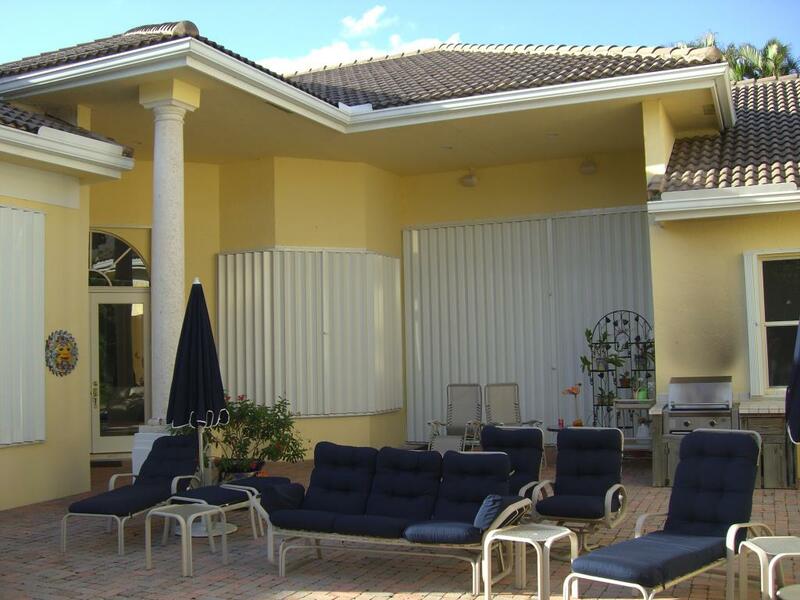 For more than 20 years, we have been manufacturing and installing the most popular brand of hurricane shutters in Miami and accordion shutters in Miami for home and business protection alike. 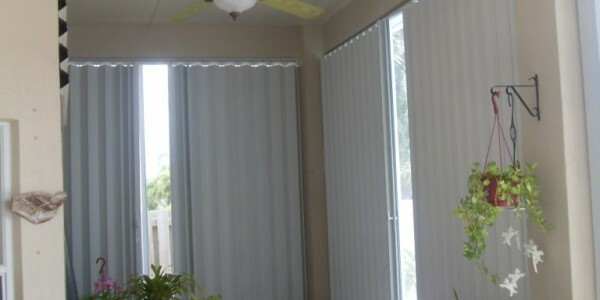 Also known as accordion style hurricane shutters, have become extremely popular for homes and businesses in Florida. 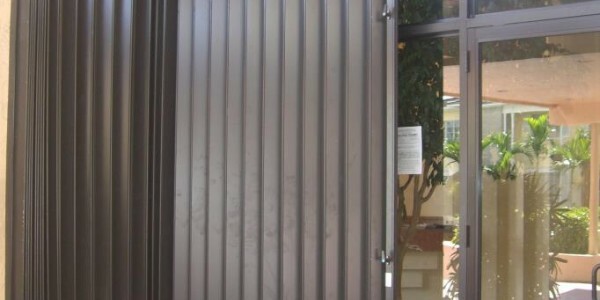 As the name implies, accordion shutters in Miami resemble the musical instrument of the same name. 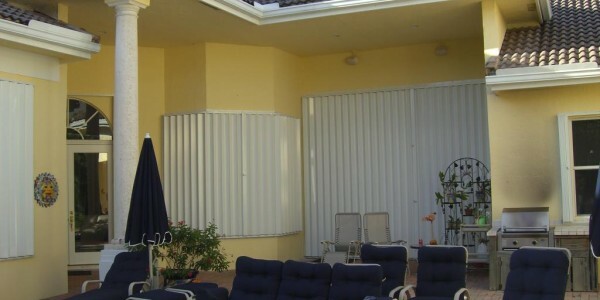 This allows you to fold them closed when a hurricane is approaching and re-open them after the storm has past and during sunny weather. 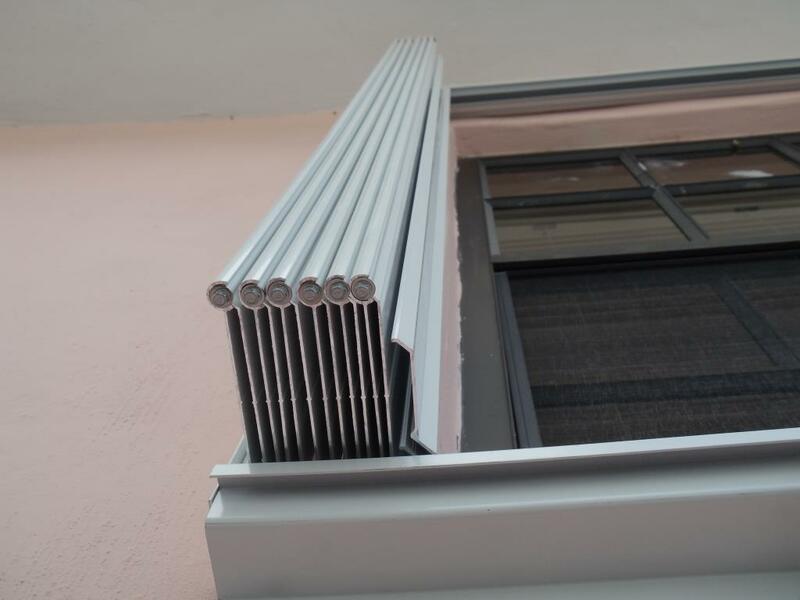 Not only are accordion shutters durable enough to protect your windows from debris and high winds, they are simple to operate. Let’s be realistic for a minute. 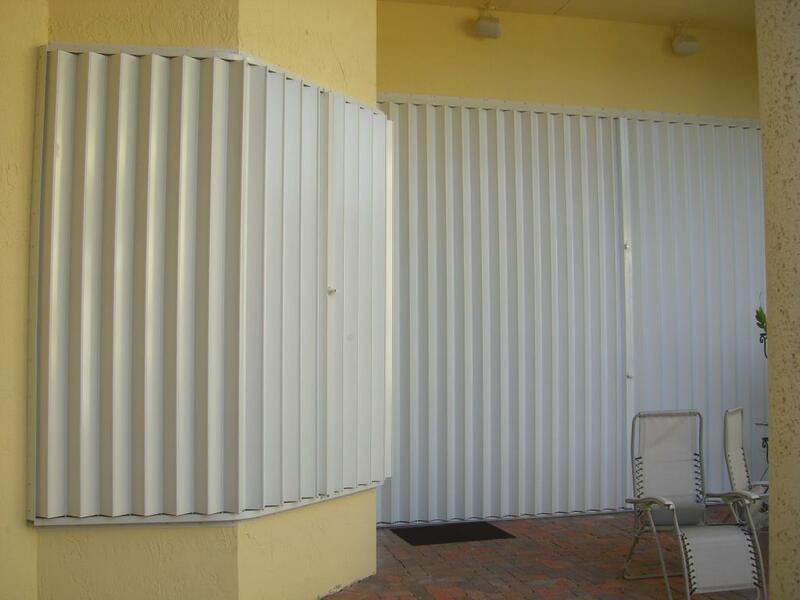 Whether you live in Miami-Dade, Broward or Palm Beach County area, hurricane shutters in Miami are a huge necessity where commercial and residential property protection are concerned. 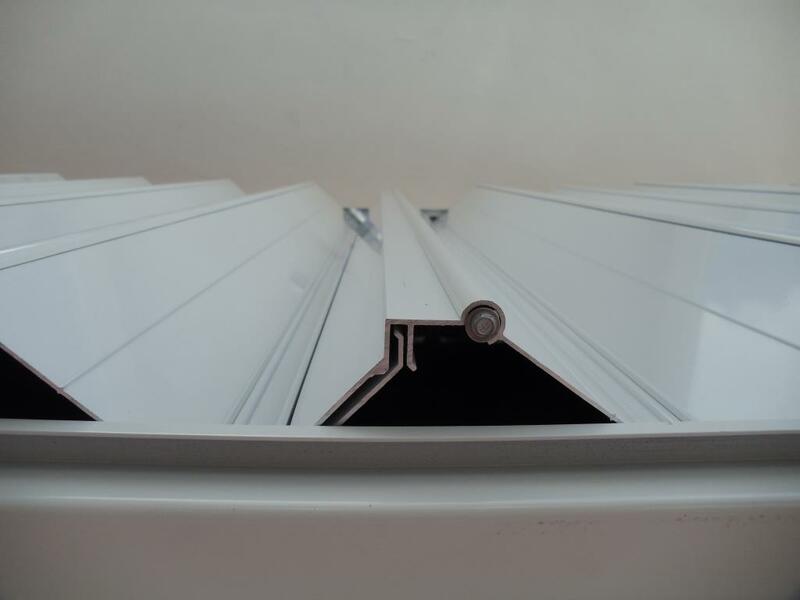 It’s safe to say that you are putting your home and/or business at risk, as well as their occupants, by not having hurricane shutters installed. They may not seem very attractive at first, but their lack of aesthetic appeal is more than made up for when you consider how well they protect you. 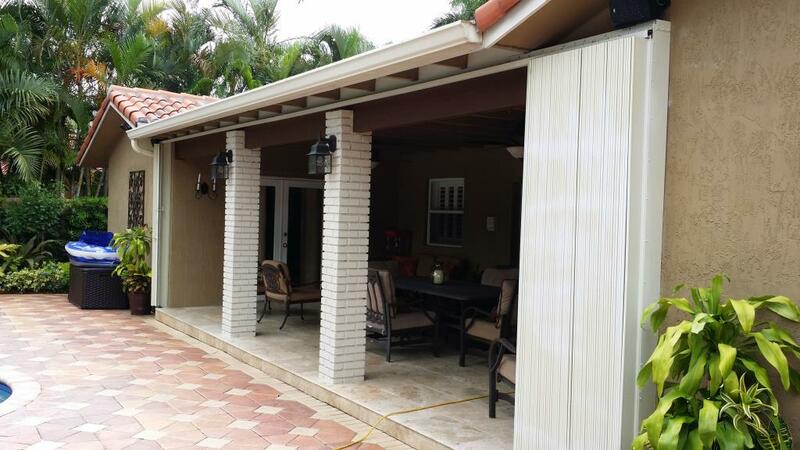 Our hurricane shutters in Miami are constructed from the highest quality, most durable materials in order to provide you with the protection you deserve. 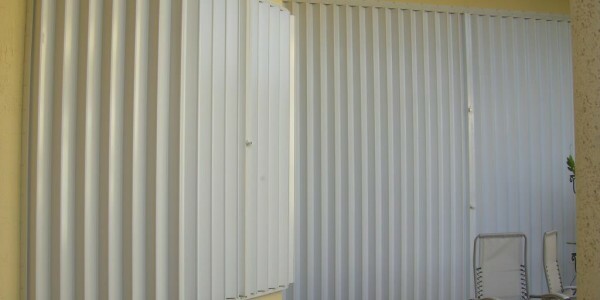 The shutters that we manufacture and install are the most popular brand in the area and for good reason. During a hurricane or severe tropical storm, your home and/or business will get pounded by an onslaught of hail, heavy rain, and strong winds of up to 150 mph or higher. 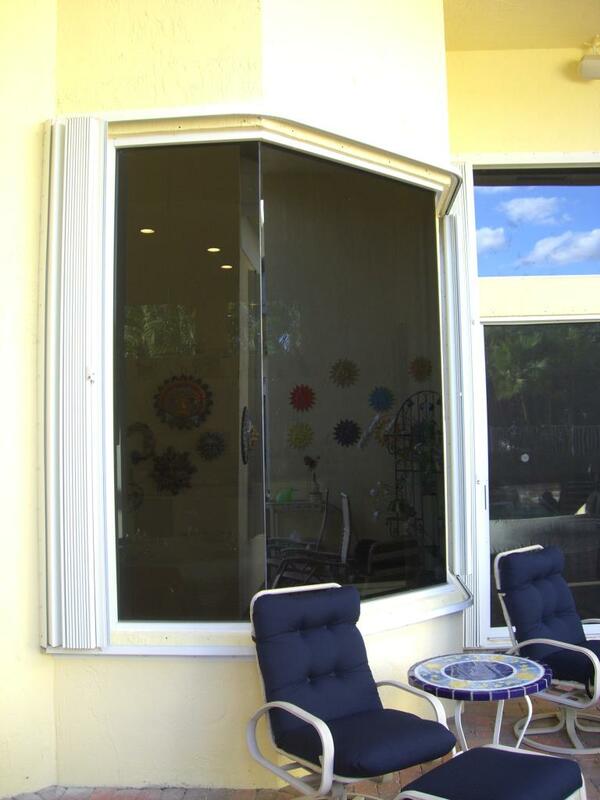 Without protection, you could be severely injured by broken glass, so you are protected as well as your home. 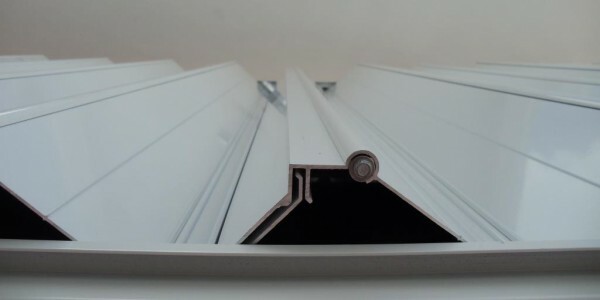 We only manufacture and sell the highest quality shutters and impact doors and windows. If you are worried about the cost, the fact is that you are investing in your own safety else the expenses can be exorbitant, if you or a loved one is injured. 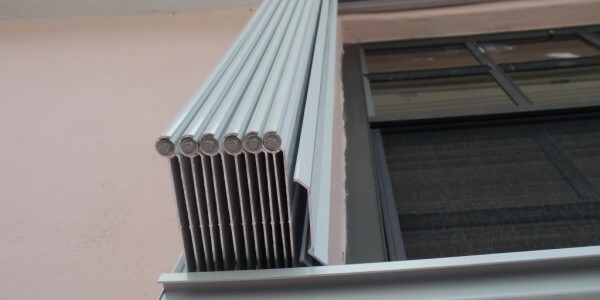 As Florida’s premier accordion shutters in Miami and hurricane shutters in Miami manufacturer and installer, we specialize in home and business door and window protection products of this type in South Florida. 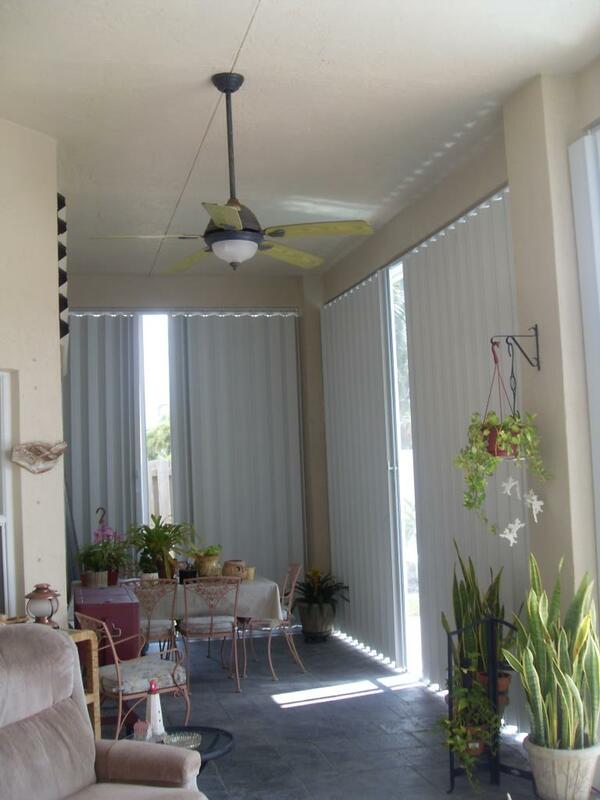 For more than 20 years, we have provided our customers with the highest quality products and the most courteous, professional service possible.